Another Pureland Buddhist here :-). 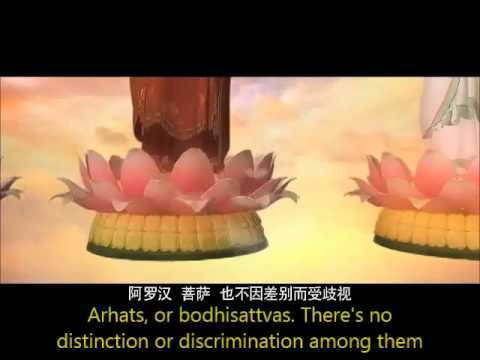 Below is another version of the Amitabha Sutra animation (part 1) with director comment how this amination was started and being made. The funding for the project was started from a young actress (Xiaoxu Chen) in 2005. However, the young actress died of cancer in 2007 and the project was put on hold until 2011. 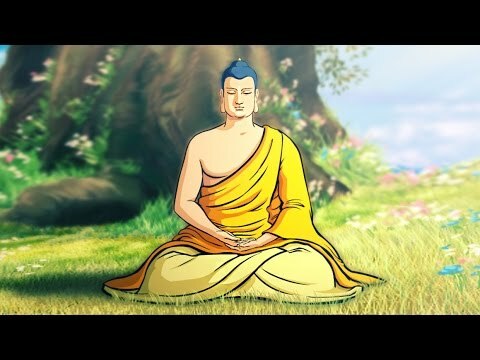 導演講述-"佛說阿彌陀經"動畫的故事--Director’s narratives "Sutra of Buddha’s Teaching On Amitabha"